The Film Archive has been in touch sending through this lovely promotional material. Not sure that you will be able to read the poster. 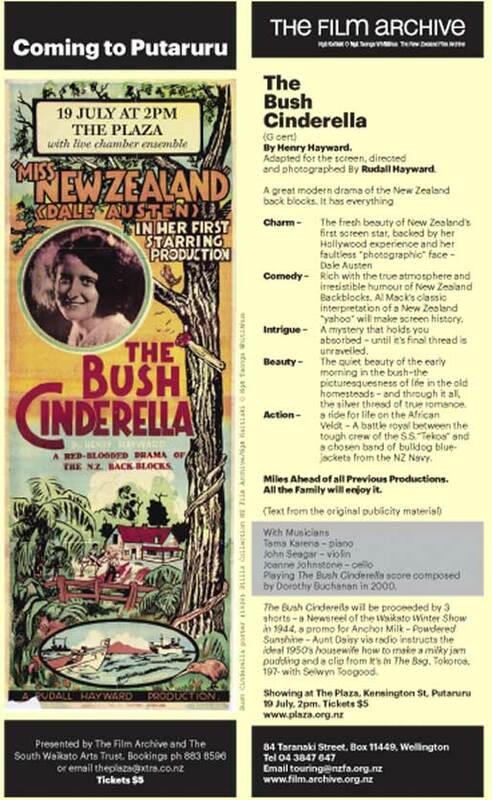 The salient facts are The Bush Cinderella at 2PM tomorrow afternoon Saturday the 19th of July at The Plaza, Kensington Street, Putaruru. The Telephone number there is 07 883 8596. Enjoy. Also Big Moments Sunday 20 July 2008, 12:30PM Victoria Cinema, Hamilton. If you want to be on The Film Archive mailing list go here. 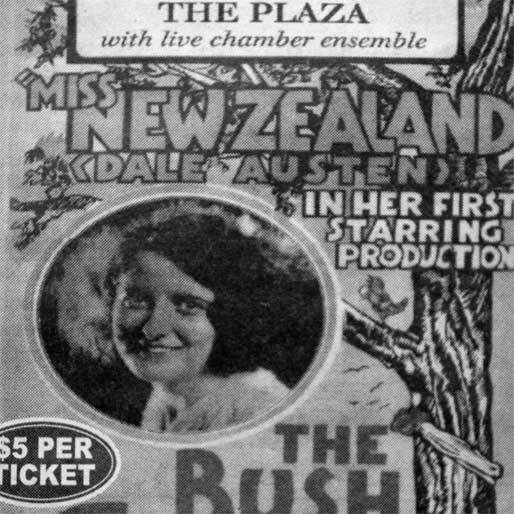 For those wanting to go to The Pictures on Saturday The Plaza is, apparently, in Putaruru. The screening is at 2PM Saturday the 19th of July 2008. Caption: Yes, this moving picture screening is both in the common era and our corner of the Known Universe – just down the road a way in the fine South Waikato town of Putaruru. Not actually sure if it is this lot. More than likely it is these folk. But I cannot find an online reference to the showing here. Or for that matter here. Ah! The Plaza has a website oh! but no screening info. Update: I have found it (sorry I do not think it is a permalink). I think I have heard of this site before. Thanks Google. This does get on Dad’s wick, and mine. The number of folk who insist on inverting the meaning of the phrase a No 8 wire solution. 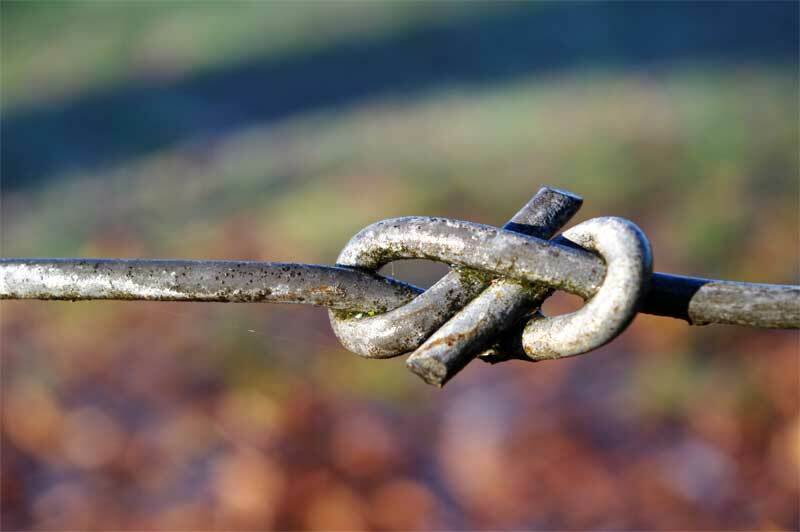 Just in the past couple of weeks, in a letter to the editor of The Herald, a couple of learned blokes from somewhere down the line opined that we need to lose our No 8 Wire Attitude, confusing it I am sure, with another Kiwi favourite ‘She’ll Be Right‘. To us the term means innovation and creativity. 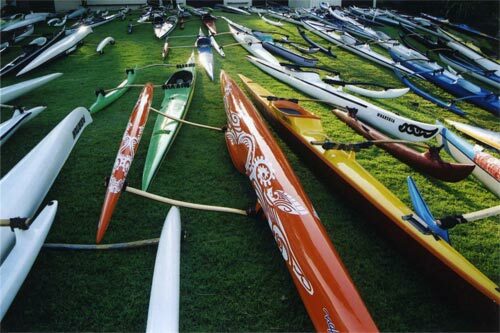 Finding a practical solution for an immediate need. Utilising scarce resources with lateral thinking. Above all it is about delivering a solution that works. No 8 the soft, low tensile wire used for fencing New Zealand was still ubiquitous as I grew up. It took me a week to find this. As it happens it was under my nose just a few hundred metres from here. A No 8 wire solution of beautiful, minimalist simplicity.